Since becoming self-employed and working from home, I’ve realized a couple of things: 1) it can be lonely. Picture eating lunch by yourself… every single day. No more office banter (pros and cons to that)! 2) It can be uncreative. While I work in a creative field, I actually have to work hard to stay informed about cool stuff happening “outside”. No longer do I hear about interesting things from coworkers! 3) No one knows what to get you for the holidays. When I worked in an office, it was pretty easy for people to get me things. My Mom knew I always needed gift cards to upscale clothing companies (White House Black Market became one of my favorites) and shoe stores (DSW!). My husband knew a new coffee mug, giant purse, or new lunch bag made a great gift (plus, coffee gift cards. So many coffee gift cards). Coworkers I was friendly with would exchange gift cards to delicious downtown restaurants (and then we’d all go out together and use those gift cards). Easy, right? Well, now what do people get you when you work at home? Coworkers are probably out. Your husband and friends don’t want to encourage you to stay in your PJs, so no PJs for you. Your Mom is at a loss since she can’t go ‘office clothes shopping’ with you. Also, you don’t need another purse. I mean, you do, but you don’t really. So what can you get your friend who works at home? It’s my second Christmas working from home this year, and I’ve got a pretty good list – plus, I’ve rounded up some gift guides from some of my other favorite bloggers below! Let me know – what are you getting your work at home friend? There are several things I absolutely can’t live without as a blogger and someone who works at home. Here are my recommendations for awesome gifts for your work at home friend! 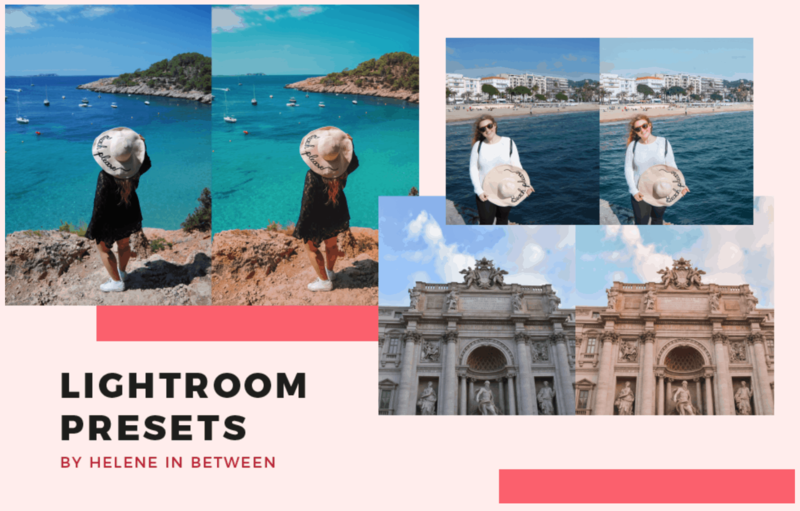 Lightroom presets (and a subscription to Lightroom!) from Helene in Between. If your work at home friend is always on Instagram, whether for her blog or to document she’s still alive, get her the gift of Lightroom presets from the master, Helene from Helene in Between. It’s okay if you don’t know what Lightroom is. Your friend probably knows. I could not live without my daily planner, and the ones by Emily Ley are absolutely gorgeous (and easy to use!). Sticking to a schedule can be really difficult when you work at home, especially if you work for yourself, so this gift is perfect for your work at home friend. Make sure you encourage them to schedule in some time to hang out with you and take a break from work! I might be a little biased, but a monthly membership to the Badass Blog Society is perfect for your blogger friend! 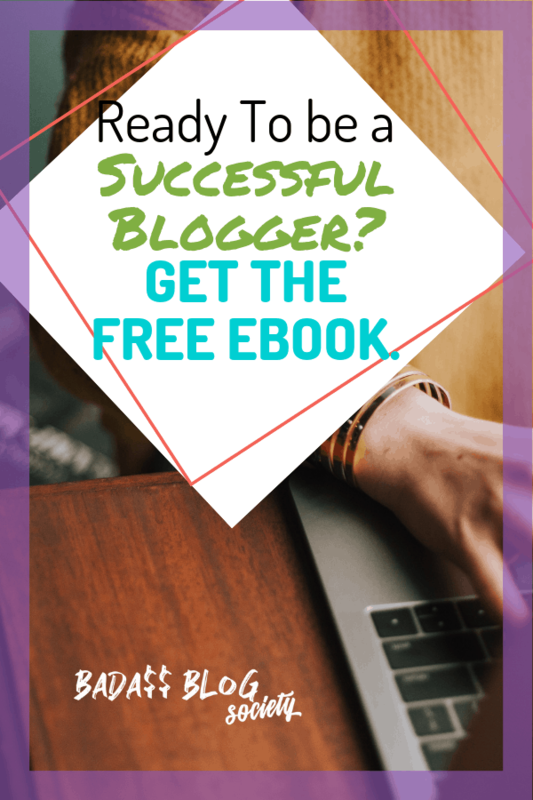 Whether she works from home or blogs on the side, the Badass Blog Society will get her blog up, running and successful faster than if she were to do it all alone. Psst – there’s a giveaway going on right now for Lifetime Membership to the Badass Blog Society! Win one for yourself or a friend here! If your friend is really getting into “working from home” and rarely leaves the house, for goodness’ sakes, it could be because she’s used up all her make up and doesn’t want to buy more! (speaking from experience…) Encourage your friend to leave the house and try new things by buying her a gift subscription to Birchbox. Not sure if Birchbox is the right beauty subscription? Read my review of Birchbox vs. Sephora here. There are so many great gift guides out there for all types of people: work at home moms, bloggers, people who get cold easily (seriously! ), people who love tea, etc. Here are some of my favorite suggestions, plus the link to the blog that suggested it! I guarantee you, your work at home friend is definitely not drinking enough water. Make sure she gets her 8 cups daily (or is it 6? Or 10? I told you, we probably don’t get enough!) by buying her a pretty or functional water bottle. This is a list of gifts for bakers, but they also make sense as gifts for your work at home friend! The one your friend probably needs? The coffee machine, hands down. For the times when your friend just cannot drink any more coffee (yes, it really happens!). It might not seem that important, but when you work from home, you have to separate your bedroom from your work space. Having a silk pillowcase will make going to sleep seem like a dream, making your work at home friend’s bed a retreat instead of just another part of the house. It might seem like a fire hazard OR a genius invention, depending on how you look at it. For me, someone whose feet are always, inexplicably cold, these sound marvelous! If you work at home, what’s one gift you would like to get from friends? Anything I missed? Let me know! I would probably cry if someone gifted me a subscription to a stock membership site… that’s a GREAT one! Also those planners are so pretty! Aaaand I may or may not get myself one of those water bottles haha. These are great gift ideas, especially the socks!